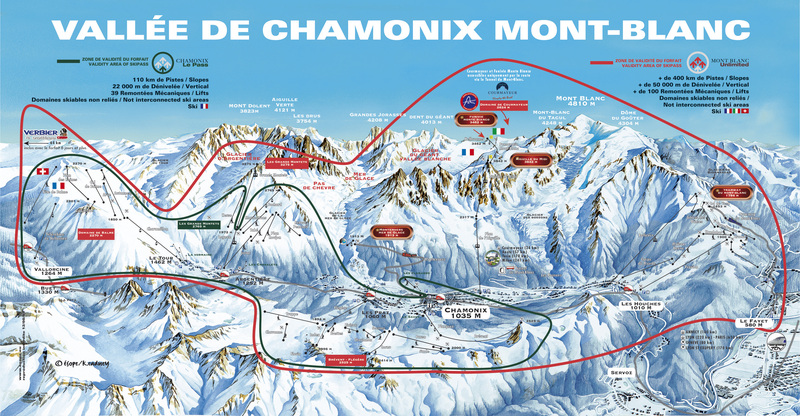 We will be staying in the Hotel Aiguille du Midi*** located 3 Kms from the centre of Chamonix in the village of Bosson. From the hotel there are breathtaking views of the Mont-Blanc, the Aiguille du Midi and the Seracs of the Bosson Glacier. The hotel has a cosy traditional atmosphere and to help you relax, after a hard day on the slopes, it offers a sauna and a jacuzzi to ease those aching muscles. In the evening we will be served a fantastic gourmet 4 course evening meal in the hotel's Logis de France rated restaurant. This year EIS are (TBC!) offering you the chance to try out some ski touring while on one of their regular trips. The idea is you can ski tour on individual days or all three if you fancy. So book the trip with Sam & arrange the ski touring with Vincent. For more detailed information & touring costs please contact Vincent Fournier-Sicre.